Antica Raffineria Hotel/ Bed and Breakfast offers you 10 full-furnished rooms, a home for travelers around the globe. Located in the city centre, this pleasant bed & breakfast allows easy access to many of Venice's sightseeing, shopping, and entertainment options. Amenities and facilities in each of room included : double size bed with bedside, cupboard, desk, tv with italian tv cable stations, and heating/air conditioned room. Get lost? Just ask local inhabitant, direction to "Leonardo Hotel". Leonardo Hotel is one of famous property in Venice (7 minutes walk from train station). It is under the same management with Antica Raffineria Hotel. Just go to Leonardo Hotel and ask their staff. Clean / Tidiness : 5 out of 5, neat and clean. very good!!! In combination with low price (It just extremely difficult to find a nice room with price below 150 Euro in Venice for a night stay), the room itself was in nice condition. We book Antica Raffineria hotel online from this website, the room is look the same with the promotion picture. We just don't like the hallway. It just too silent and creepy in the evening! Ready to go to Venice? 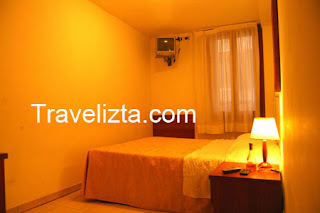 Just stay at Antica Raffineria Hotel, book online here to get discounted price! Book Antica Raffineria Hotel Venice here!